The history of the town of Vail revolves all around the ski resort. 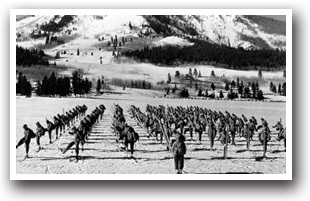 Back during WWII, the US Army trained at Camp Hale; men from the 10th Mountain Division returned here after the war with the intention of opening a ski resort. In December of 1962, the resort officially opened and the town was established four years following at the base of the mountain. One of the world's premier winter destinations, Vail offers extensive terrain, 10 high-speed quad chairlifts, fine dining, and a fabulous nightlife in a charming mountain village. Visit the numerous shops in Vail Village that aim to please the most discriminating tastes. Vail Ski Resort has been rated the #5 Snowboarding Resort in North America in the Transworld Snowboarding Annual Resort Guide Survey and FREEZE Magazine. Get away from the sights and sounds of civilization and give yourself access to sheer solitude. In 1969, Vail became the most popular ski resort in the state and in 1988 it became the largest ski area in North America. You could also ski Beaver Creek Ski Resort, which was originally designed to accommodate skiers of all ability levels. Today the mountain is enjoyed by a variety of winter and summer sports enthusiasts. 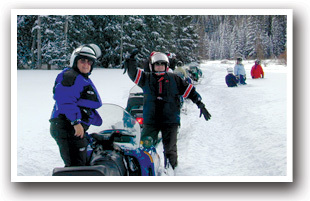 Wolcott, Red Cliff, Vail, and Minturn are all bursting with snowmobile trails and open space, the whole family is sure to have a blast. Other winter activities include snowshoeing, cross-country skiing, recreational racing, sno-cat skiing, dog sledding, and day spas. Raft on the Eagle River if you're looking for a fun day trip activity or try out the Avon Whitewater Park. It is only 350-feet long but offers an exhilarating and fun experience. The course starts under "Bob the Bridge" and in keeping with the humor, the three features are named after it: Baby Bob, Bob Jr., and Bob Sr. Beginners through advanced kayakers are welcome as it offers fun for all! Sylvan Lake State Park is one of western Colorado's best-kept secrets. Open year round, this is a great spot for picnicking, hiking and outdoor photography. Fish from your boat or offshore for trout. Summer activities include horseback riding, rock climbing, fly-fishing, open air concerts, rodeos, golfing, scenic drives, hot air balloon rides, art exhibits, camping, mountain biking, and the on-mountain playground - Adventure Ridge. 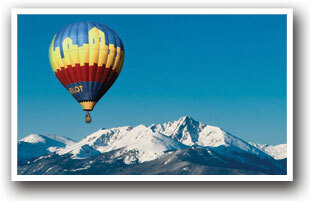 Commercial air travel accommodations are handled by the Eagle County Regional Airport. Please contact your preferred travel agent or airline for flight arrangements. 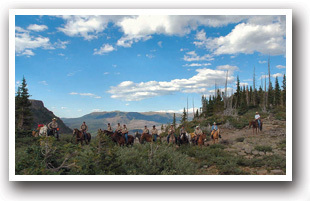 Horseback Rides - SnowCat Trips - ATV Tours - Hunting Expeditions - High Country Chuckwagon Suppers! 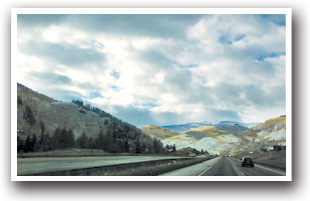 40mi W of Vail, off I-70 in the mountains of Colorado's western slope surrounded by forest. At Sweetwater Lake, between Vail and Glenwood Springs. AJ Brink Outfitters in White River National Forest is near Flat Tops Wilderness Area: horseback, sunset & pony rides and fishing & hunting trips. Near Gypsum off I-70 along Eagle River; Aunt Sara's = BIG RIG RV Resort: Room for slideouts, 50amp, pull-thru. Campground between Vail and Glenwood Springs. SKIERS, Stay Here: Ski Beaver Creek, Vail! Summer and winter fun 20 minutes west of Beaver Creek and Vail resort in Dotsero. Sage Outdoor Adventures: snowmobiling, ATVing, horseback rides, whitewater rafting, fishing, tubing, and kayaking. Eagle is known for biking and golfing - Your Outdoor Springboard! Stop at the Eagle Visitor & Information Center on Fairgrounds Road for maps, tips and helpful information for your vacation adventure. Anglers are our Guides! You will catch FISH! FLY SHOP in Minturn near Vail Village. We Know Our Water Intimately. Experience Colorado Fly-Fishing. Horseback/Fishing Trip. HOOK YOUR KIDS ON FISHING. South of Eagle CO, at the gateway to Holy Cross Wilderness, Sylvan Lake gazes at majestic mountains. State Park: Cabins/yurts (heat, solar light, no indoor cooking), tent sites, hike, fish, bike, snowmobile, ski. Along Gore Creek, Vail's Mountain Haus at the Covered Bridge offers AAA 3-Diamond condos and hotel rooms. Steps from World-Class skiing, dining, shopping. On-site heated pool! In summer hike and fish.